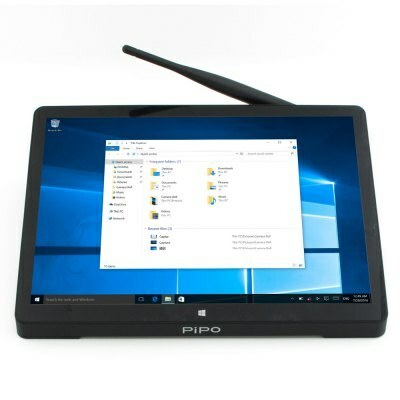 The PiPO X10 is a dual OS Tablet/PC hybrid (Windows 10/Android 5.1) powered by the quadcore Intel X5-Z8300 Cherry Trail processor. It also features a 10.8″ 1920×1280 pixel touchscreen and a 10000mAh battery. Inside the box, you’ll get the PiPO X10 Mini PC, power adapter and an instruction manual.